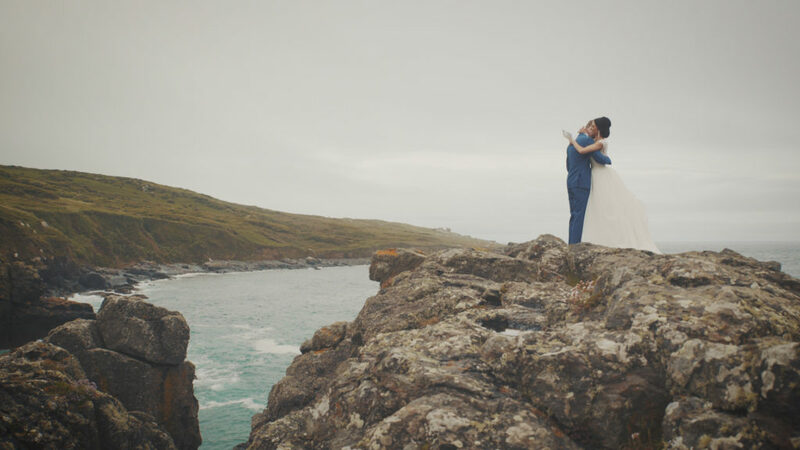 We produce films for a lot London clients who travel down to Cornwall or Devon for their wedding. We here in the peninsula may look with envy at the theatres, restaurants and shopping opportunities in the big smoke – but the grass is always greener, and for people looking to get married in one of the most naturally beautiful places in the UK, you need to (*imagine the Pet Shop Boys here*) go west…. 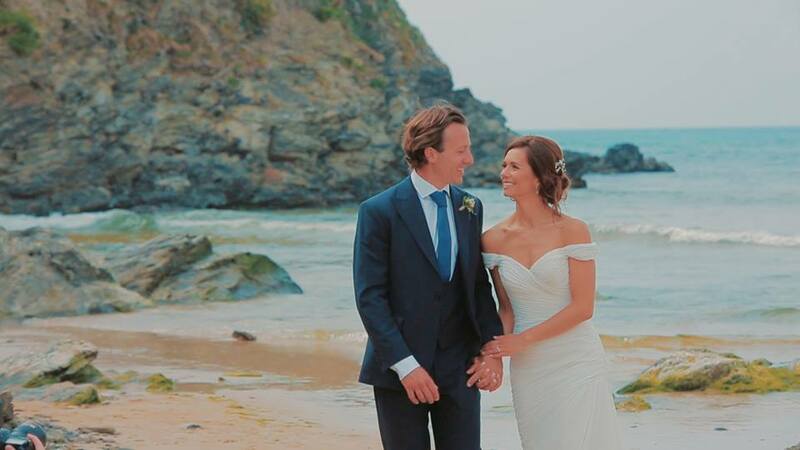 “I researched wedding videographers in Cornwall & surrounding areas as i wasn’t sure if we would be better booking someone to come down with us from London for our wedding in Cornwall but we really wanted to keep as much local as possible. Babalu really didn’t compare, there style is so bespoke to each wedding & not one film looks like the previous wedding they have shot. Why Choose Cornwall or Devon for Your Wedding? First and foremost – it’s stunning! Cornwall is an amazing place. With a thirty minute drive, you can travel between north and south coasts, chasing the beautiful sunrise (south) across to its eventual golden-hour rest (north). Golden sand, soft shale, or volcanic rock – there’s not shortage of beach choices . From nearly anywhere, you can reach an National Trust area of outstanding beauty in twenty minutes. Or get lost in dens historic woodland. 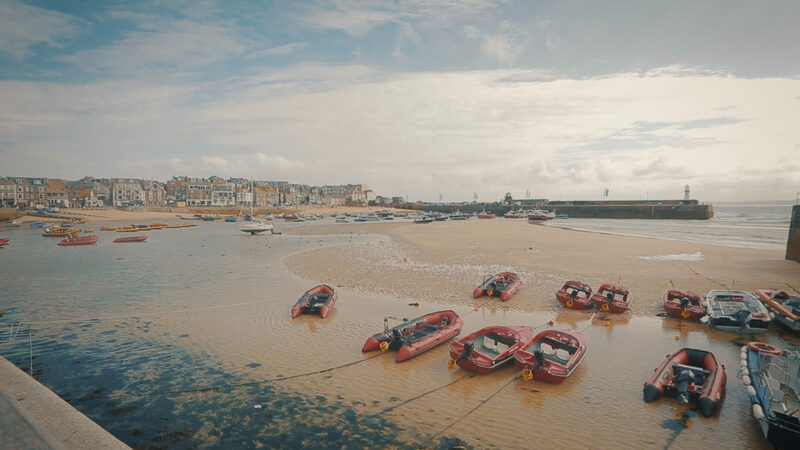 Cornwall Wedding Video – beautiful coastlines! The option becomes whether to hire local south-west based suppliers, or to ship people down from the home counties. 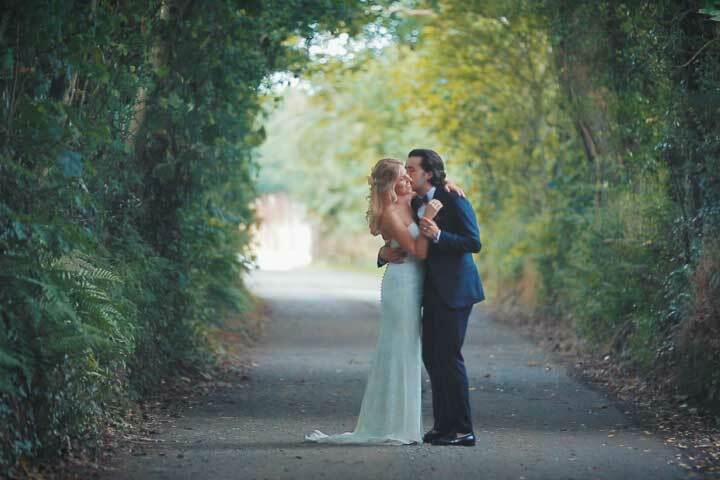 Why Choose Babalu Films for your wedding video in Cornwall? 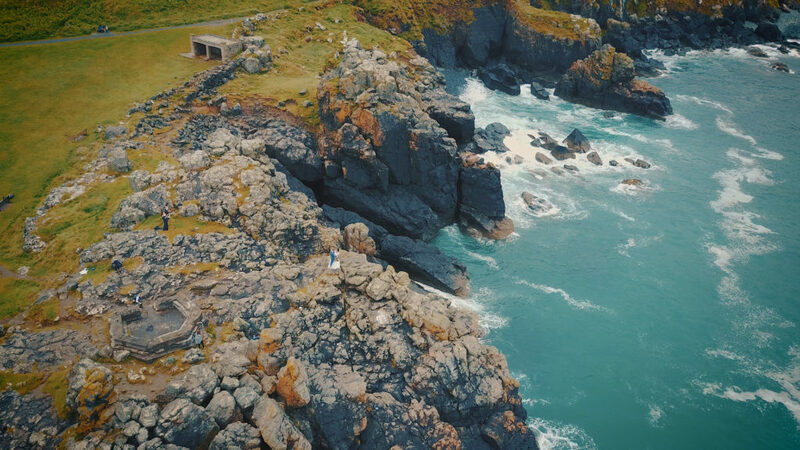 We’ve produced a lot of wedding videos for London / south-east based clients in the last few years – but it was only when reading some comments from the South West Wedding Awards that we really got to thinking about just how many have been clients escaping the big smoke. We know that sometimes our London clients are a little nervous planning everything from so far away, or to be using local suppliers rather than the people they know in the area they live. We do everything we can to keep our couples happy in the build up – if possible, we’ll meet for a coffee on a ‘planning holiday’, or if not, we’ll chat on Skype. We scout out locations in advance of the day. We send example feature films and try to get a sense whether the you are more interested in the ‘fun’ or ’emotion’ from the big day. “Chris & Luke on our wedding day made us feel so comfortable & for my Husband that didn’t really want to be filmed we never felt that they were in our way or taking up our time with guests. We have just received our high lights video & both of us spent the whole time watching in tears. they captured everything perfectly, the setting, special moments & the fun atmosphere our day had from start to finish. We can’t thank them enough for the beautiful footage us & our family will cherish forever”.